Not that all that is said by the Big Bang story tellers is wrong. Even from the Vedic science' point if view, a sudden expansion of the universal seed that instantly turned into a gigantic universe is not ruled out. 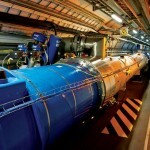 Scientists will have to wait longer to find out what kicked off the Big Bang. 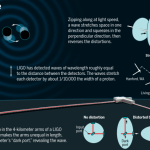 Last spring, a team of astronomers who go by the name of BICEP announced they had detected ripples in space-time, or gravitational waves, reverberating from the first trillionth of a trillionth of a trillionth of a second of time – long-sought evidence that the expansion of the universe had started out with a giant whoosh called inflation. They had planned to post their paper Monday, but the data was posted early, apparently by accident. The result is not encouraging by any means. The good thing is, they did not brush aside counter arguments. Perhaps the evidences provided by the debaters were irresistible. Nonetheless, it is praiseworthy that the debate has been dubbed as “spirited” in this news article. 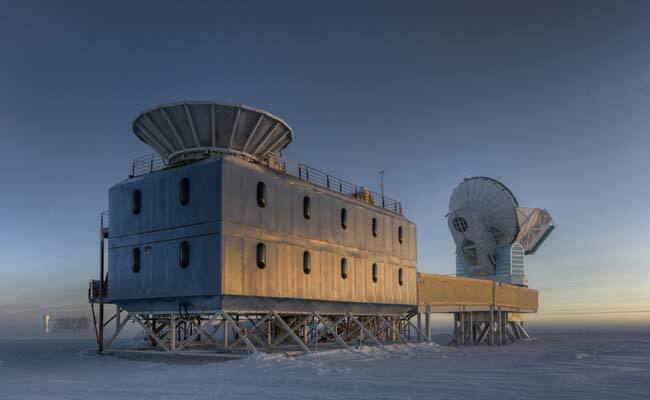 “Now a new analysis, undertaken jointly by the BICEP group and the Planck group, has confirmed that the BICEP signal was mostly, if not all, stardust, and that there is no convincing evidence of the gravitational waves. No evidence of inflation. Now, here is the problem. “Truth will emerge” sounds like a post dated cheque without knowing if there is enough fund in the bank. What bothers many who have been receiving such post dated cheques since the Big Bang (some call it Big Bluff) came into existence is, they keep not only saying but teaching young generations theories that they themselves discard after a few years! We can’t really blame such anger. 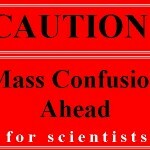 Not that all that is said by the Big Bang story tellers is wrong. 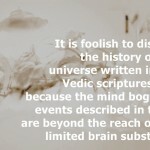 Even from the Vedic science’ point if view, a sudden expansion of the universal seed that instantly turned into a gigantic universe is not ruled out. The difficulty, however, arises when our scientist friends want to ignore intelligence behind such a fantastic phenomenon. 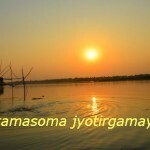 Until and unless they realise that just like they can create something that can inflate, there must be someone who can do similar things in a more wonderful way, and that is what the Vedic science talks about.